Yeah, quite a long headline there with a lot of things going on in it. 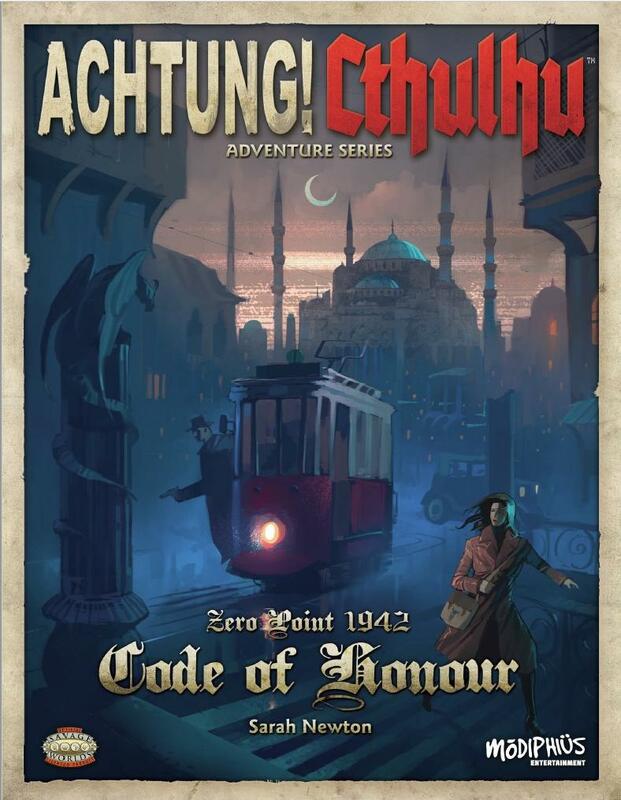 The short version is that Modiphius has released the Savage Worlds version of Code of Honour, part of their Achtung! Cthulhu series. So, if you've wanted to play the adventure, but your gaming group really wanted to stick with/play using the Savage Worlds system, you can now do so without having to change everything over yourself. Istanbul in 1942 is a neutral city, packed with spies. Everyone's here - the Nazis, the Soviets, the Brits and the Yanks, the Japanese and a host of other nations, all waging a deadly war of wits against a backdrop of cocktail bars and polite smiles. From the infamous Snake Pit in the Park Hotel, to the jazz clubs and fashionable restaurants of Istiklal Avenue, to the warrens of alleys around the spires and mosques of Fatih and Sultanahmet, it's a city in ferment. While Turkey desperately tries to stay out of the war, the Führer's armies mass less than a hundred miles away. But that's not all. Something even more terrifying is going on beneath the ancient streets of the Sublime Porte. Meddling forces have unearthed an ancient treasure, setting in motion plans centuries old which threaten to change the course of the whole war - and even the world!